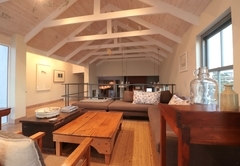 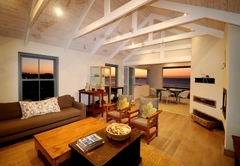 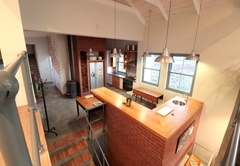 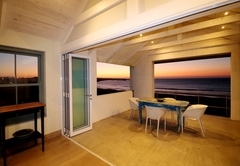 Bekkie is a property providing self catering in Paternoster for up to 8 guests visiting the Cape West Coast region. 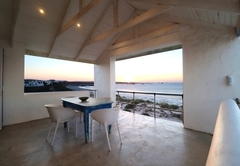 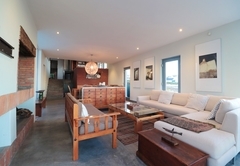 Bekkie Holiday Home in Paternoster accommodates up to eight guests in total. 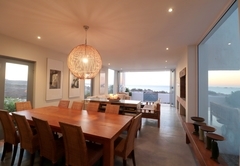 Here you are within walking distance to the beach and other activities in the area. 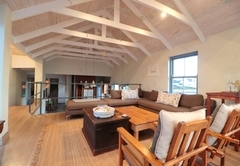 Bekkie is a self catering holiday home with four bedrooms and four bathrooms, three being en-suite. 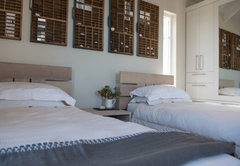 The main bedroom has a King-size bed, the second and third bedroom has a double bed in each and the fourth bedroom has two single beds. 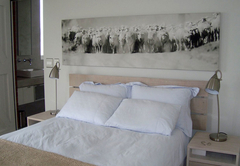 Bed linen and bathroom towels are provided. 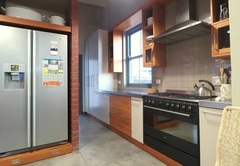 There is an open plan kitchen with an oven, gas stove, dishwasher, double door fridge / freezer, kettle and a basin. 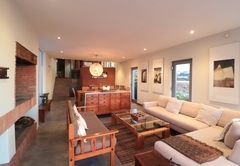 The are three separate living areas and an two indoor fireplaces as well as an indoor braai. 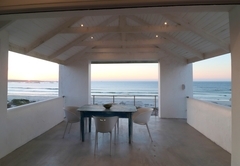 There is a patio with outside furniture where guests are able to relax and enjoy the splendid views. 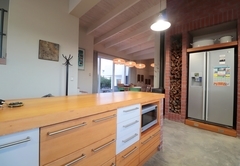 The house has two outdoor braai's and a double garage. 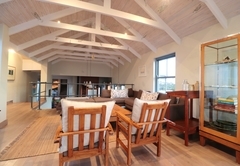 Bekkie is a self catering holiday home with four bedrooms and four bathrooms, three being en-suite. 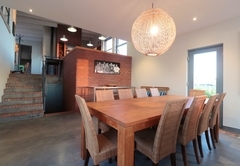 There is an open plan kitchen, three living areas and a patio with outside furniture where guests are able to relax and enjoy the splendid views. 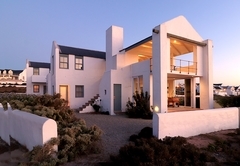 Response timeBekkie typically responds to requests in 5-10 minutes.